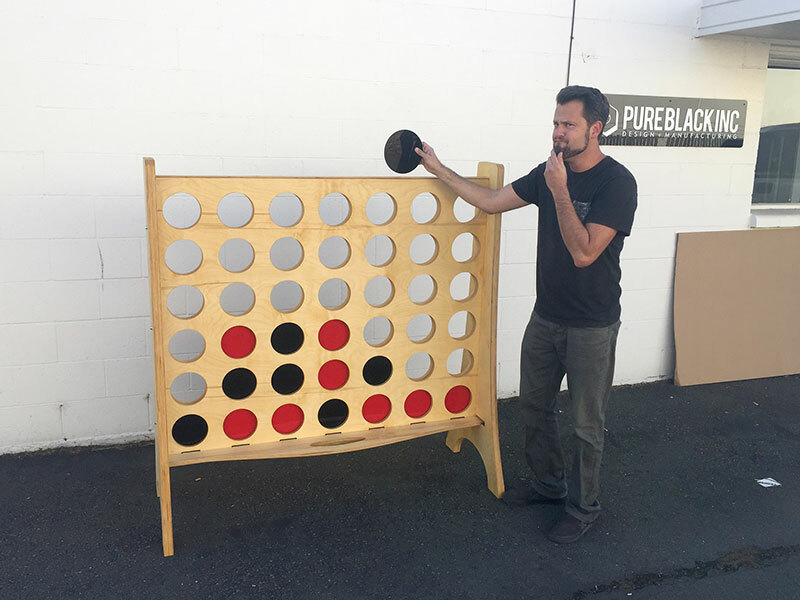 Lagunitas - Connect 4 - Pure Black, Inc.
As if the experience at the Lagunitas Brewery wasn’t already fun enough, they decided to add some games to the mix. 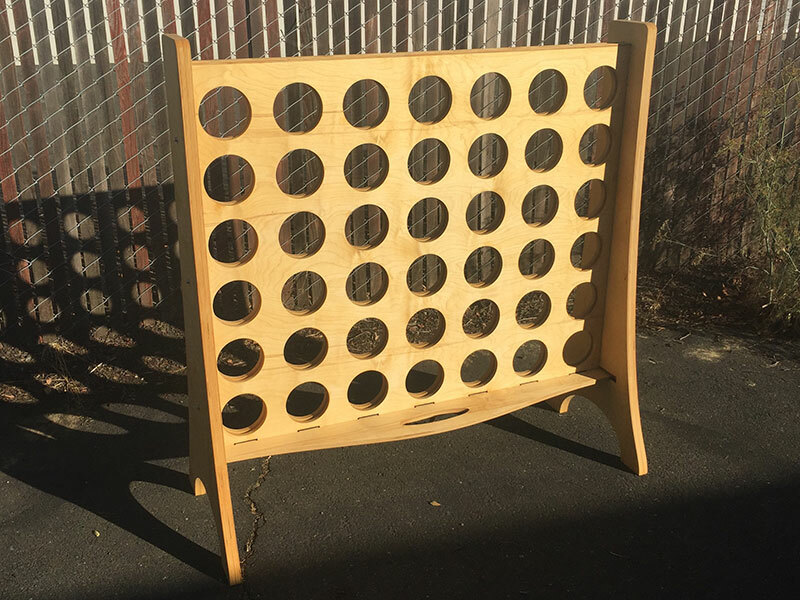 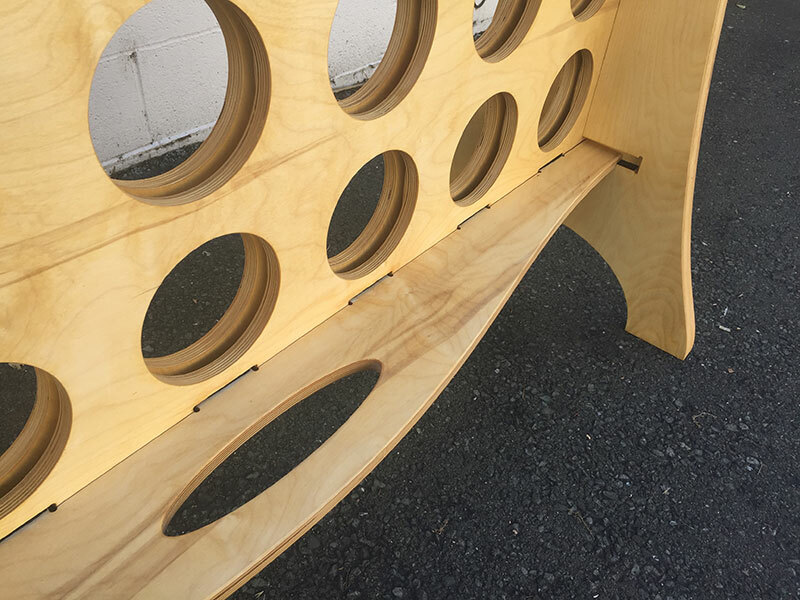 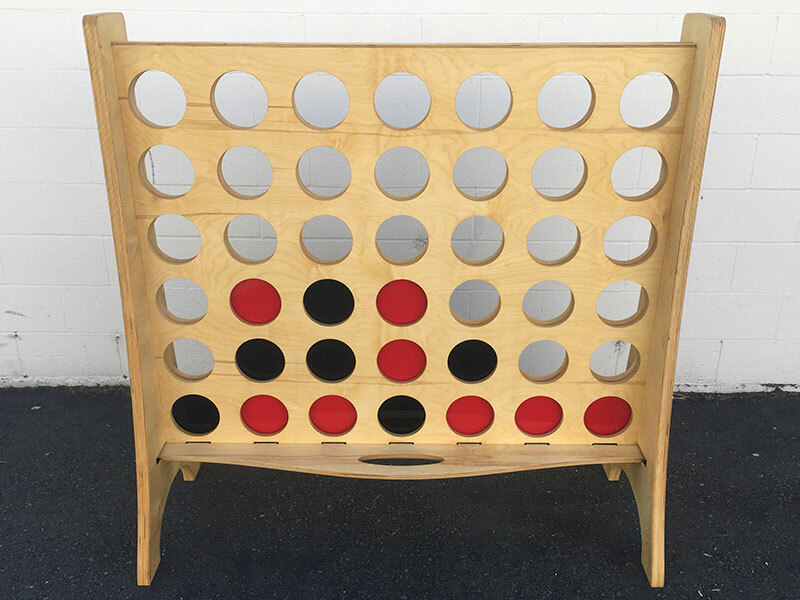 We designed and manufactured this life size “Connect 4” for them, complete with channeled interior pockets to keep the discs tightly aligned and a slide out tray for droppinmg the discs and restarting the game. 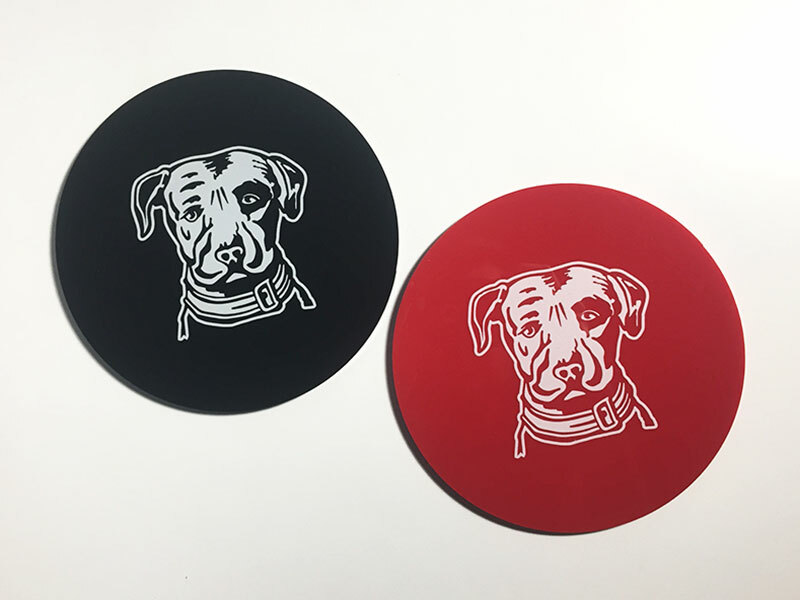 Oh, and of course some acrylic playing discs printed with the iconic dog logo.